I am an athlete at CrossFit Six Shooter in McKinney, Texas. 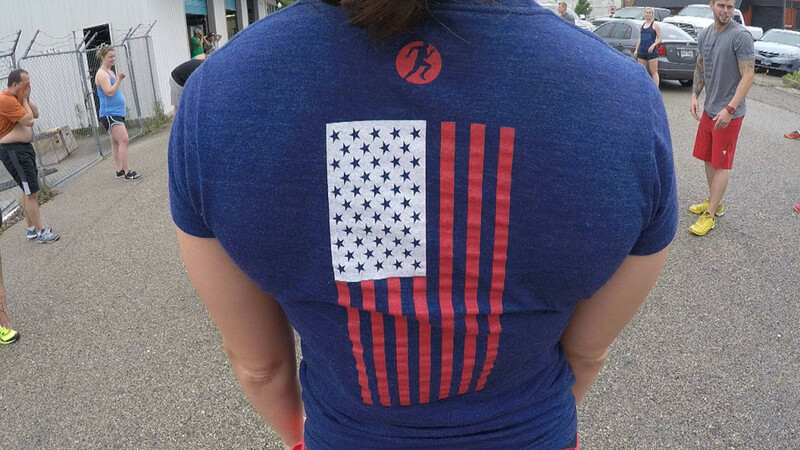 For Memorial Day, we did the hero WOD “MURPH” as a community, as do most CrossFit boxes, and enjoyed a family BBQ. Since I have been trying to grow my video portfolio for Full Pint Media Group, I offered to film the day for Six Shooter. I wanted to create something that I didn’t see when searching other MURPH WOD videos. I also haven’t had a chance to try and create too many dramatic edits. It was challenging to say the least. Picking out the music seemed to be the toughest part. Audio Jungle has a huge amount of music, so you have to spend the time filtering through results to find just what you’re looking for. After that, it was going through all the footage. I captured a lot of footage, but once I zoned in on a style and feel for the video, I knew I needed to find the shots that would work best for the final product. Once I was 80% there, our Producer at FPMG, Steven Rice, took a gander at it. I like having Steven review my video work still. Though I have gotten better at editing, I still like getting critiques from others. Once I solidified some of the changes we chatted about, I exported a ProRes version for Steven to Color Grade. From there, we uploaded to YouTube and we’ll see what happens. What are your thoughts? Did we do a good job? If you’d like to reach out for work in the future, I’d love to chat!